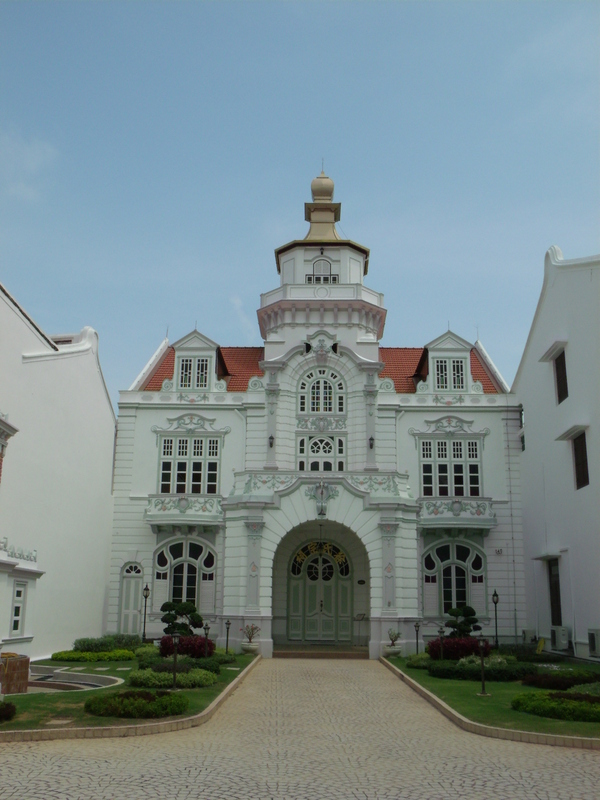 From Putrajaya’s gleamingly-new architecture, it was time to head to tiny Melaka for something much much older. I managed to get some shut-eye on the two hour drive. We left Putrajaya around 10 after dropping-off Geoff at the immigration office so there was a bit of traffic at the highway already. Past the Melaka Zoo, Tony asked me where we were headed. 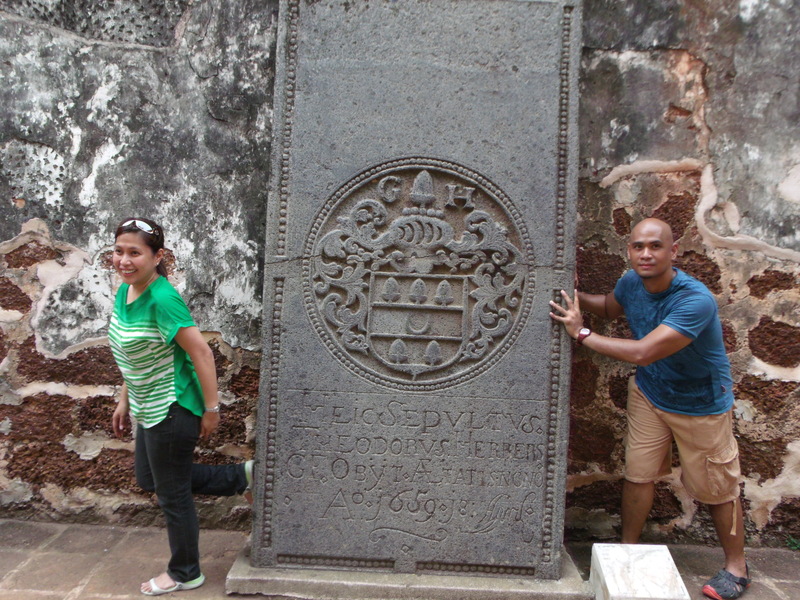 I had assumed he knew the way to Melaka City, the capital of Melaka State (confused?). Turns out it was his first-time! Fortunately, he found his way around and soon we were driving past familiar sites. Thankfully, the crowd jostling for space in the narrow streets of Chinatown wasn’t as large as I remember when I first visited in December a couple of years ago. It was a Saturday, but we managed to find parking near the A’ Famosa which seemed to have undergone a facelift plus the addition of walls. 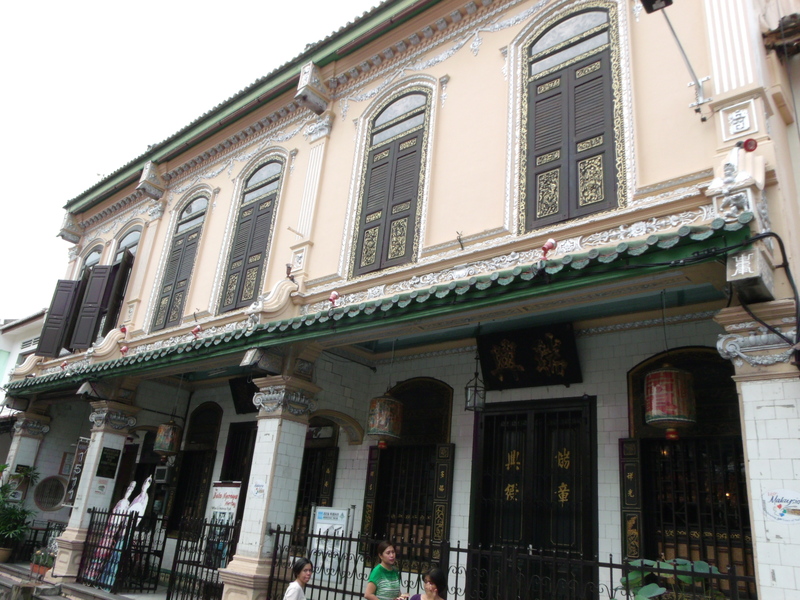 It was noon and the sun was unbearably hot as we walked down Jl Tan Cheng Lock in search of the Lonely Planet-recommended Restoran Peranakan. The three girls seemed about ready to faint from both heat and hunger. Yna was pointing out restaurants but I egged them to move further on. 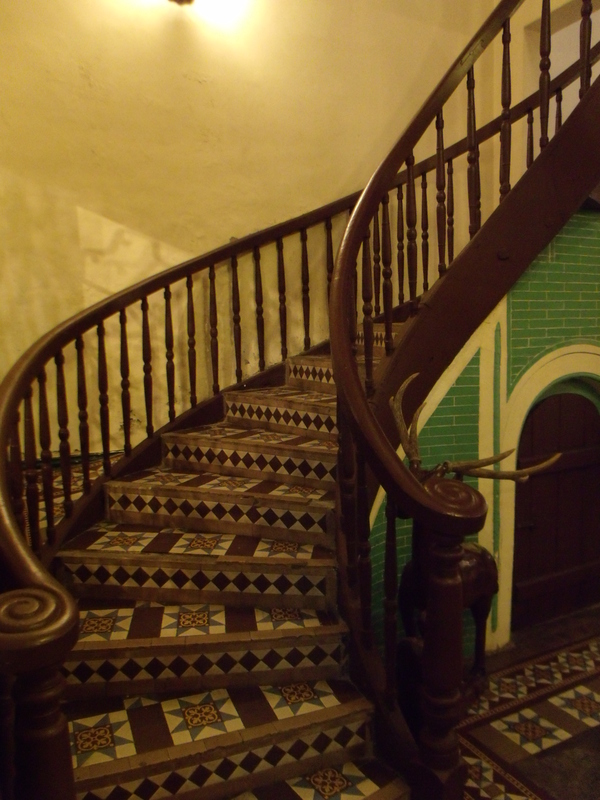 Near the end of the street we finally sighted it and entered its gorgeous lobby of tiled floors and ornate furniture. 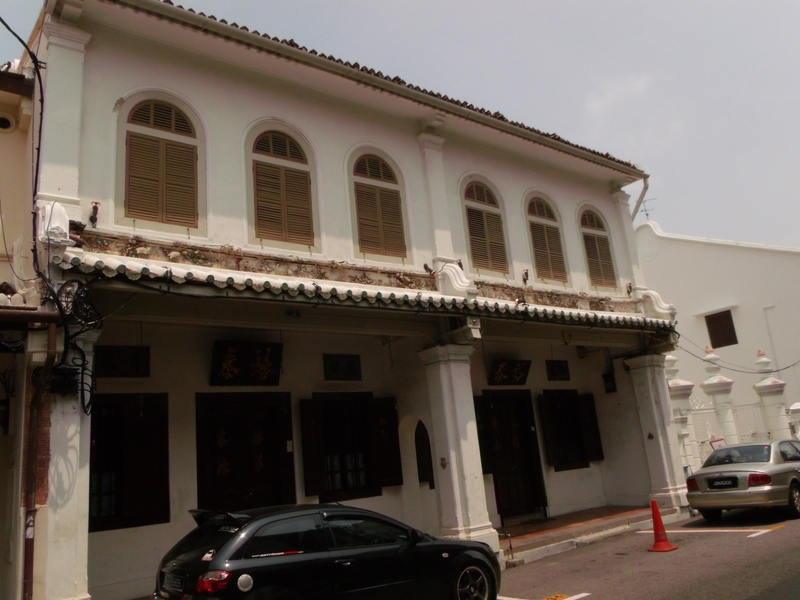 Melaka is one of two places in Malaysia (the other being Penang) that is home to the Straits-born Chinese called the Peranakan. 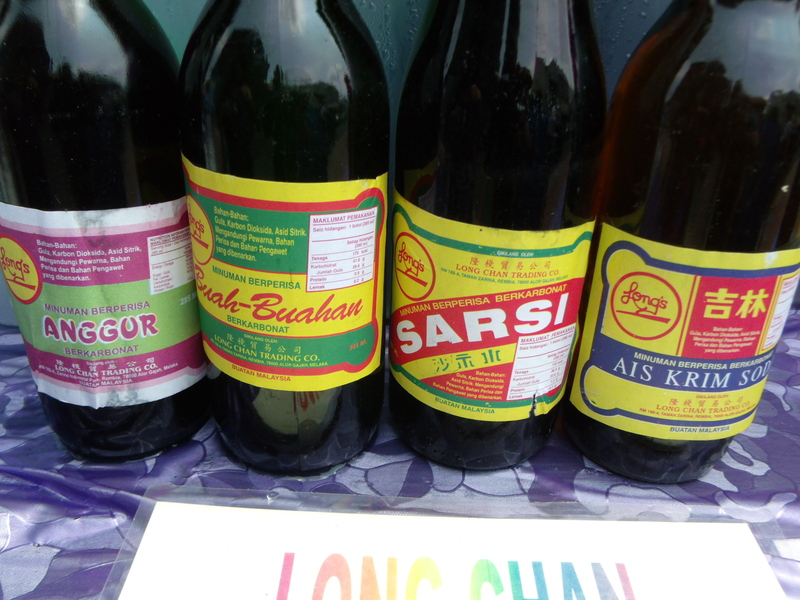 They are descendants of the inter-marriage of the Chinese and Malay with their own interesting culture resulting from this blend. The men are called “baba” and the women “nonya.” I’ve never tried Peranakan food in Melaka before as due to the huge crowds cramming the restaurants the last time I was there, I had to settle for Chinese food instead. This trip, I promised myself that no matter what, I am having my Peranakan food fix. The huge place was a cool respite from the heat. 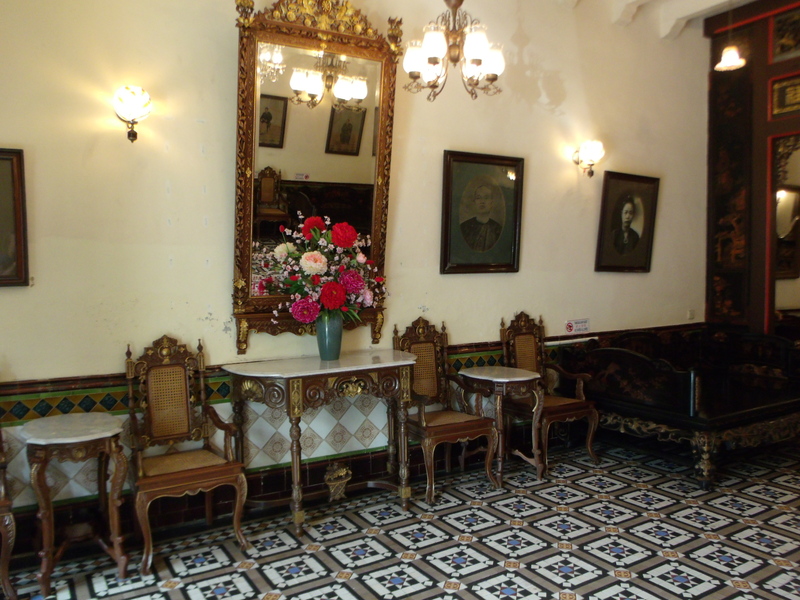 A former residence, the restaurant was charming with its period furniture and gorgeous interiors. Less charming were the staff who seemed not too delighted to be taking our orders despite not having many people around. 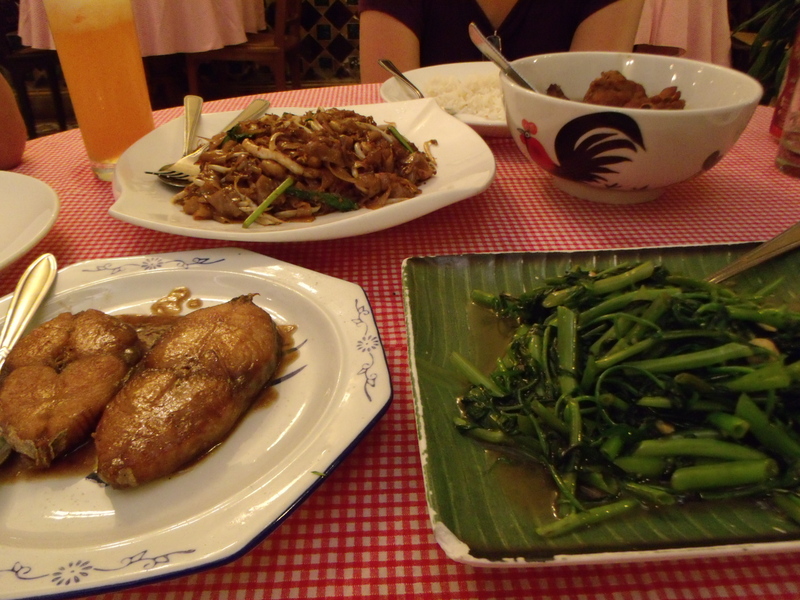 The food didn’t take too long in coming which was good as we were really famished. It was delicious to say the least. I particularly liked the chicken with its dark and flavorful sauce like a tastier version of the Pinoy adobo. Never mind that it was a little oily. I just had to scoop some of its sauce and pour it on my steamed rice. Eaten with kangkong belacang, it was perfect! 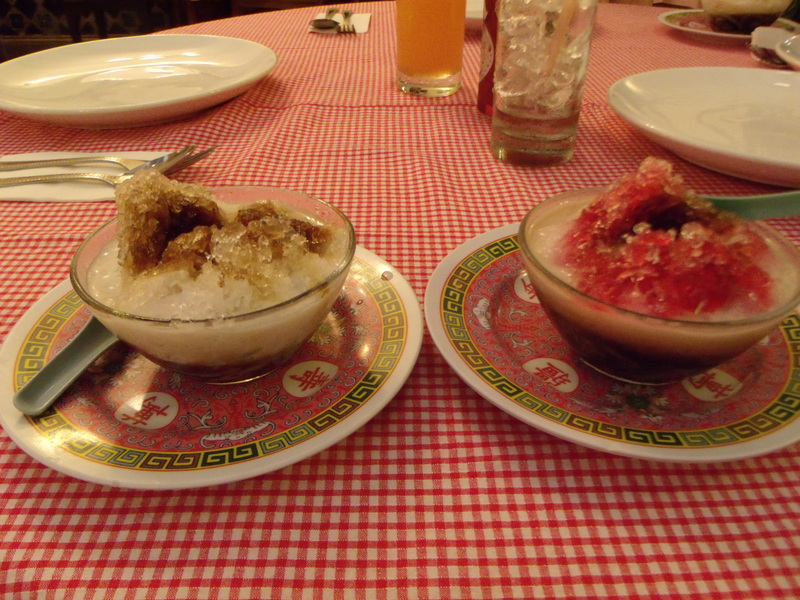 Dessert was of course, cendol and ais kacang. Cendol is a cold sweet soup of coconut milk with some colorful tidbits made from rice flour and flavored with gula melaka, that ubiquitous palm sugar. Ais kacang has more ingredients like beans and has shaved ice. I can’t really decide which I like more. The downside to Restoran Peranakan is that the men’s comfort room which is located at a pretty sunlit courtyard does not have a toilet! Since I needed to sh*#@t, I had to ask one of the staff if I could use one of two toilets in the female restroom. Fortunately, each toilet had its own door and was accessed separately from each other. 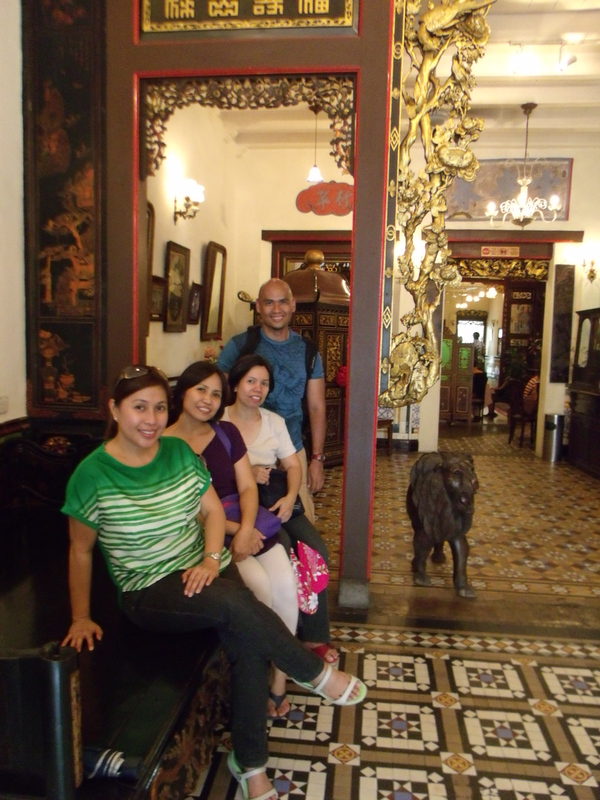 Stomach full and happy, we headed to Jonker St to browse at its many shops. I snagged a small colorful lute from Sarawak at one of the many curio shops. It was a steal at RM60! 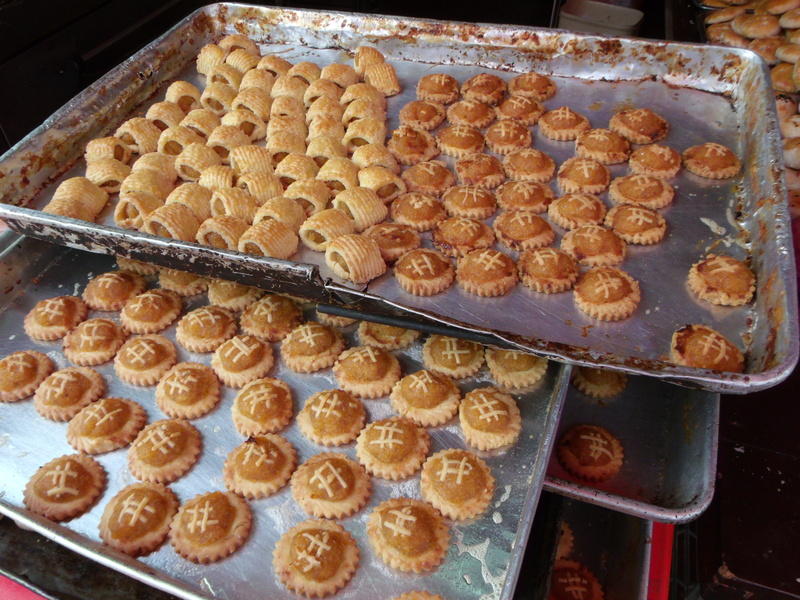 Melaka’s good eats extend beyond meals to baked goodies, with its famous buttery pineapple tarts. A box of fresh from the oven tarts were at RM20. Yna couldn’t resist opening her box and sampling her tarts. I was saving my two boxes for a Melaka pineapple tart moment when I get back home to Manila. 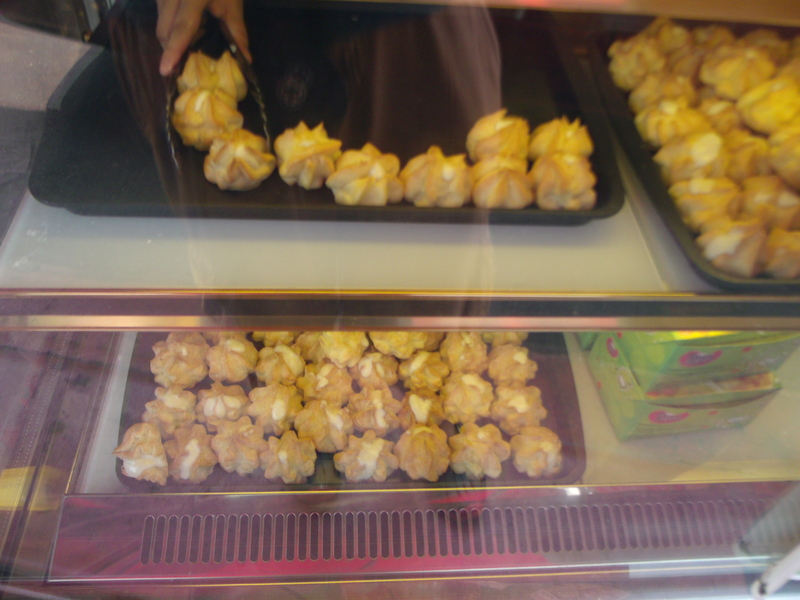 At the same shop was a counter with the brand Taste Better selling freshly-made cream puffs with durian filling. Very creamy and very durian. Yummy! Unfortunately, taking home some puffs for pasalubong were out of the question as they wouldn’t last without refrigeration. Melakka soda. My favorite is the one on the extreme right-- ais kreme! It was bad timing visiting Baba Nonya Heritage House as aside from the throngs of tourists visiting this popular site, there was school trip. We waded through the crowd of school children and into the small lobby where we were greeted by a perspiring harried lady prettily dressed in pink nonya wear. We opted out of a tour and decided to just go around on our own as the house was filling-up with people quickly and we didn’t have the time to wait for other people for the guided tour to commence. It was my second time to visit and the furniture, especially the beds, still fascinate me with their rich ornamentation. Items are all neatly labeled and contain a wealth of information. I learned for example that the blue and white chinaware were used for rituals and altar while the fancier more garish-colored ones (which were my favorite) were used on special occasions. The huge kitchen at the back of the house with its antique refrigerator and stove and cooking vessels were really interesting especially for someone like me who loves to cook and eat. From Chinatown, we headed to the main street to pretty in red-pink Christ Church and the fountain inscribed with Victoria Regina. Up the Stadthuys and on to the ruins of St. Paul Church where a pictorial of a couple of models, one of whom was made-up to look like a vampire in a white gown, was taking place. As always, the place was full of people and vendors. 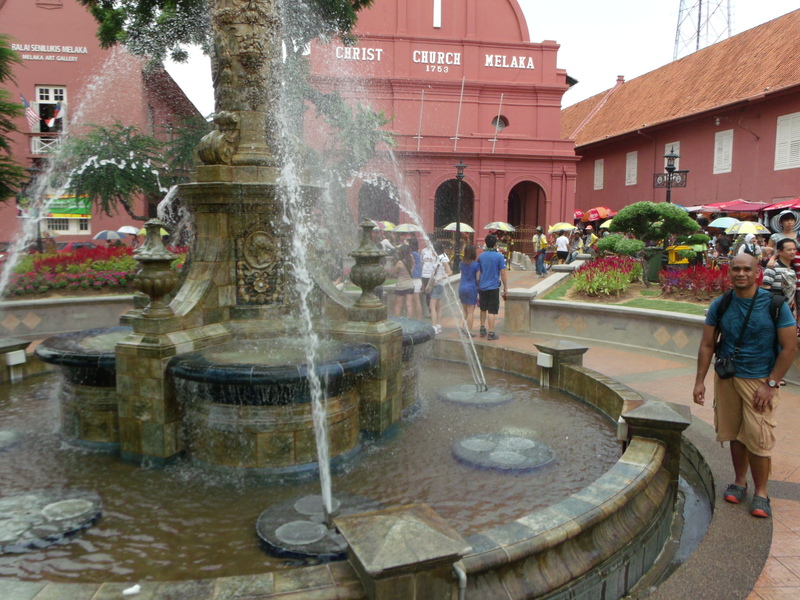 I think, Melaka is best enjoyed on a weekday when there are no crowds. Better yet is to stay for a night so you can savor its charm slowly and even take a sunset cruise at the river.